Halia @ Aroi Thai Promotion !! 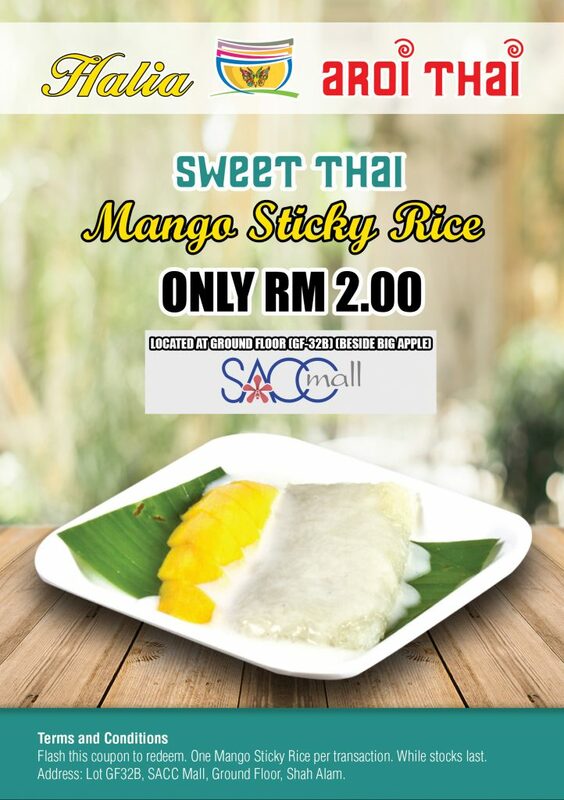 HALIA NYONYA THAI @ AROI THAI Restaurant is offering MANGO STICKY RICE for ONLY RM2 !!! FLASH THIS PICTURE to get the OFFER and this offer only for dine-in ! !